TrackingFootball helps teams manage their recruiting and roster. 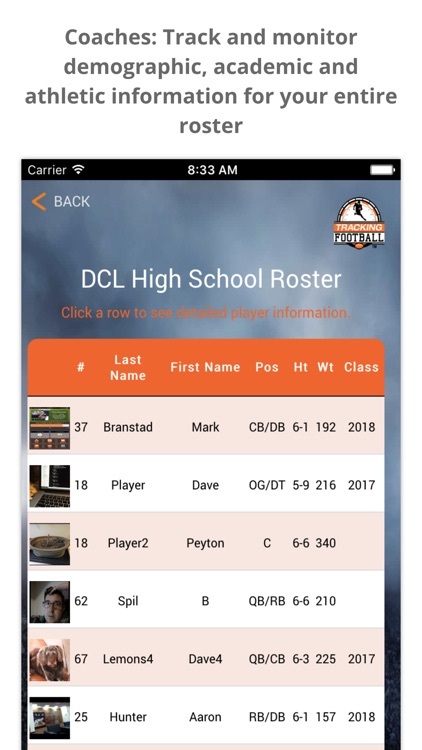 Our free app allows high school players to build and compare personal profiles that high school coaches can monitor, verify and share. 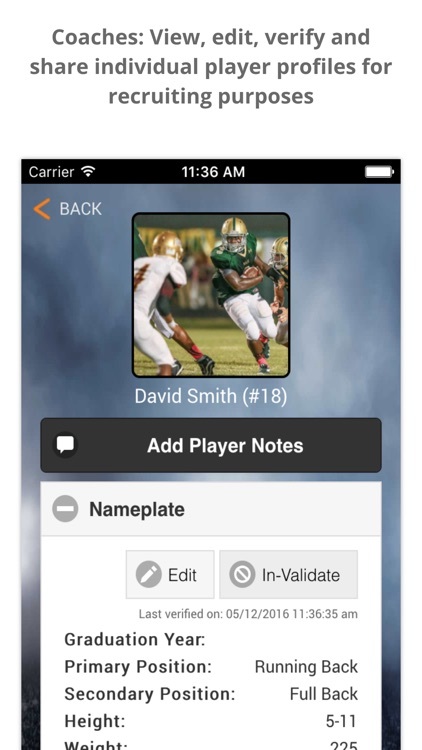 * Store all of your players' information in one convenient & easy to use dashboard. 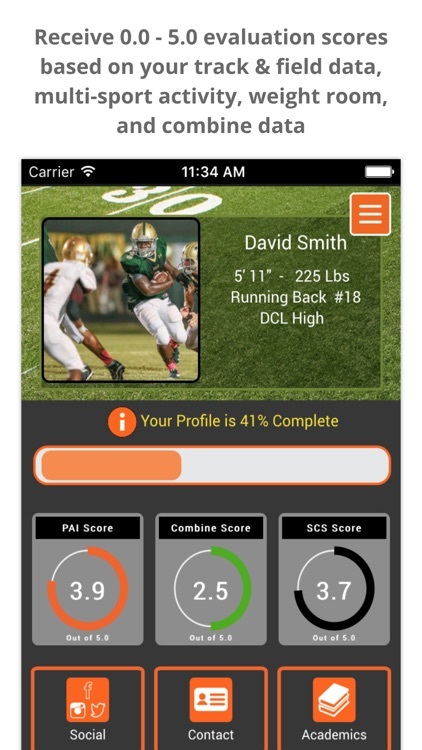 * Collect weight room, combine, multi-sport participation & other athletic data results. 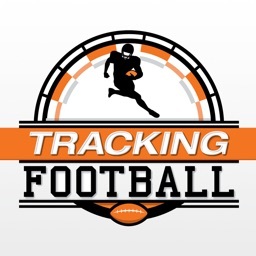 * Track GPA, SAT, ACT scores, & other academic information. 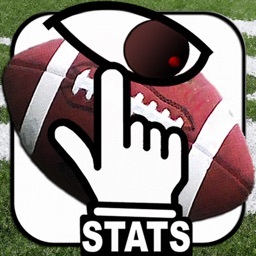 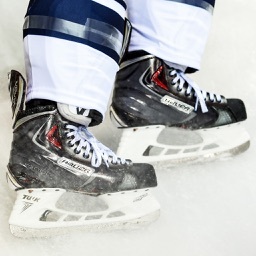 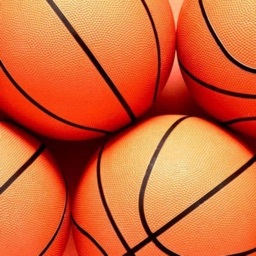 * Monitor player social media accounts, highlight video links & profile photos. 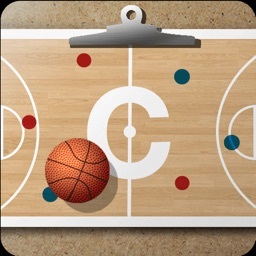 * Contact your players via email, text, & phone using one interface. 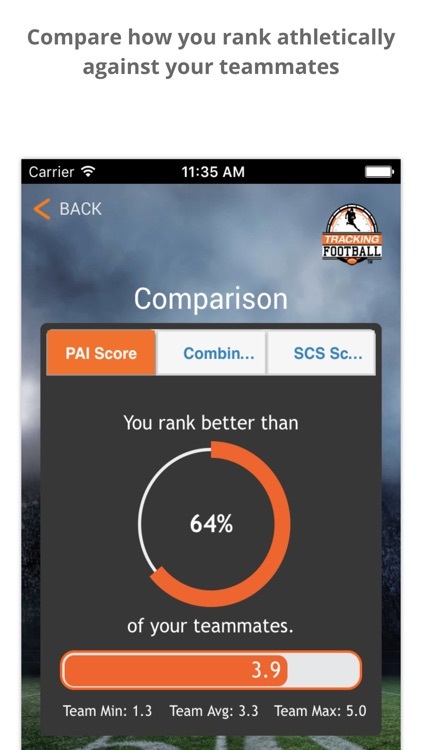 * Evaluate your athleticism using our proprietary 0.0 - 5.0 Player Athletic Index & Strength Coefficient Score metrics. 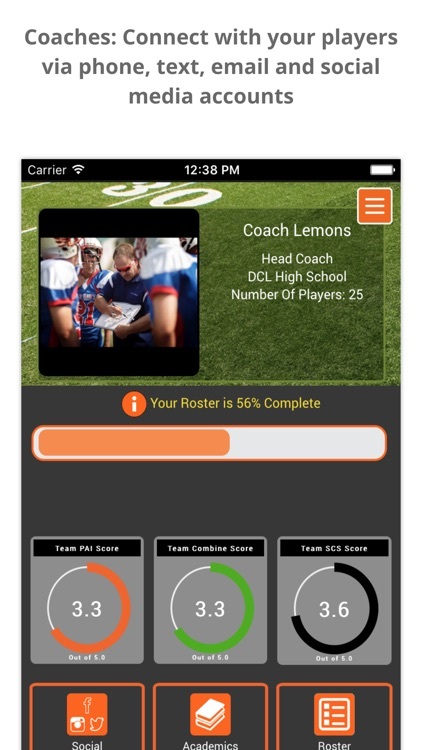 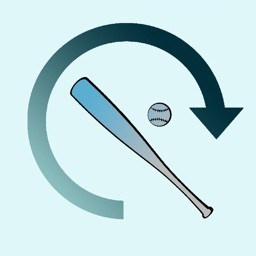 * Improve your recruiting provide your coach with accurate and verified data to give recruiters.